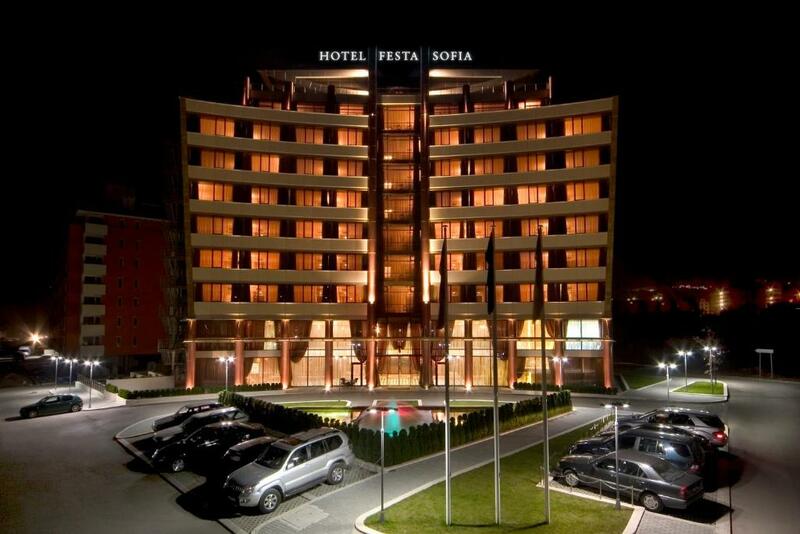 Lock in a great price for Festa Sofia Hotel – rated 8.2 by recent guests! The staff was very nice and polite. The view to the Vitosha mountain from our balcony was beautiful. Perfect location not far from the city. Available parking for guests. Nice interior. Very good price/quality ratio. 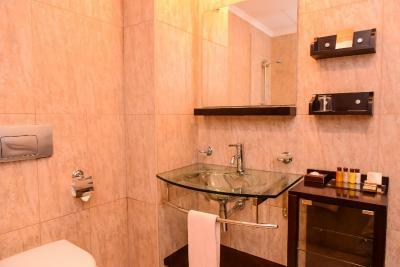 The room was big enough, clean, comfortable beds, nice bathroom. 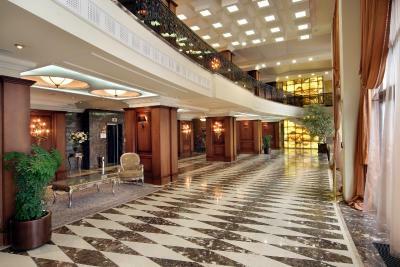 The hotel lobby is nicely designed, the gym in the hotel is well equipped. 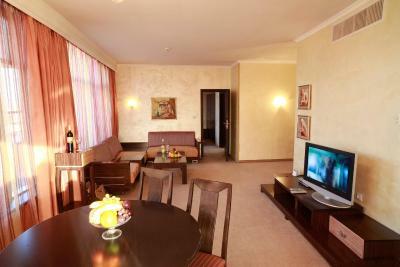 large room well equipped: hd tv with a lot of channels via internet. the breakfast was very rich in variety and healthy fresh food . 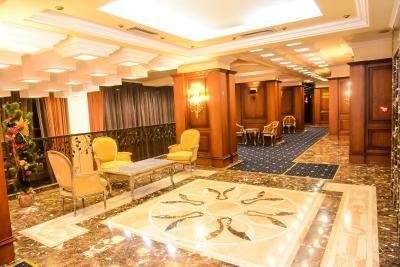 great location 200 meters from bulgaria mall, and 8 leb (taxi) from the center and 20 leb from airport. 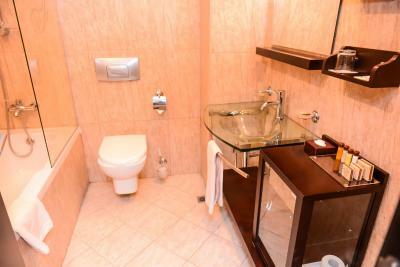 Very spacious room, correct breakfast included in the price. 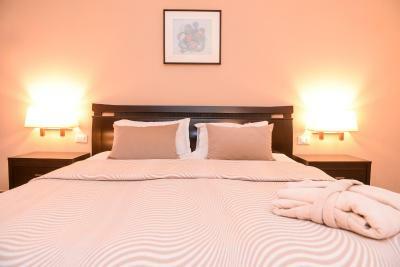 It was clean and comfortable, very polite and helpful staff. Plus it's close to one of the malls if you have enough time to go shopping. 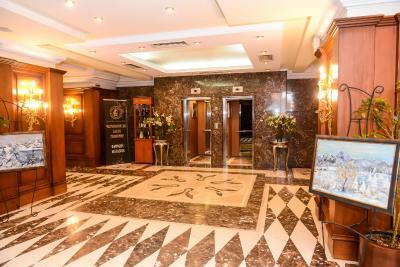 Festa Sofia Hotel This rating is a reflection of how the property compares to the industry standard when it comes to price, facilities and services available. It's based on a self-evaluation by the property. Use this rating to help choose your stay! 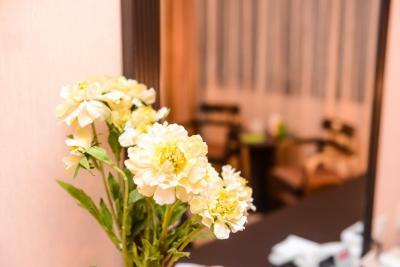 One of our top picks in Sofia.Within 650 feet from the Bulgaria Mall and tram stop, Festa Sofia Hotel offers elegant rooms with free WiFi connection and satellite TV. 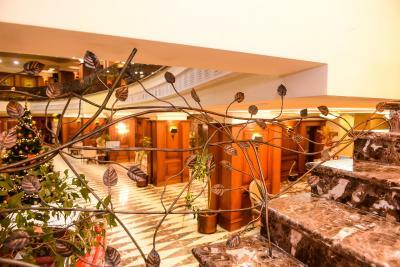 It features a wellness center and a beauty salon, as well as 2 restaurants, 3 bars and 4 conference rooms. 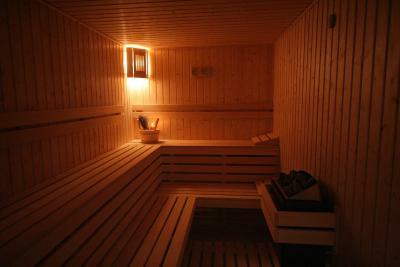 The spa center consists of a sauna and a steam bath. 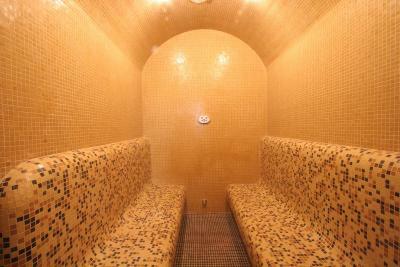 Guests can also work out in the fitness, or enjoy in one of the massage and aroma therapy treatments. There is also a hairdresser on site. 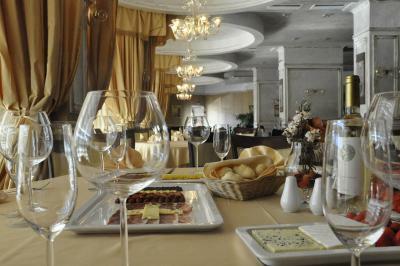 The Restaurant Festa serves local and international cuisine in a discrete atmosphere. 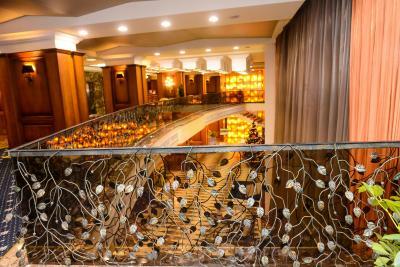 The Mezzanine Bar pampers its guests with a fine selection of drinks and deserts, while the Lobby Bar offers a variety of coffee specialties. 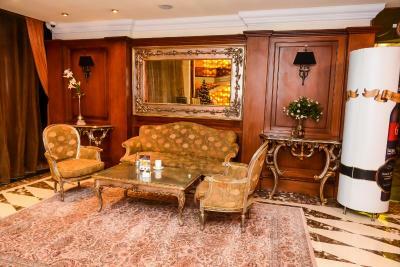 The Shisha bar Sahara Lounge Nargile & Bar offers its guest exquisite tobacco tastes and a fine selection of drinks. 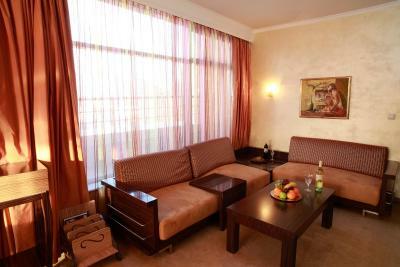 All Festa Sofia’s rooms offer panoramic views of the city or Vitosha Mountain. 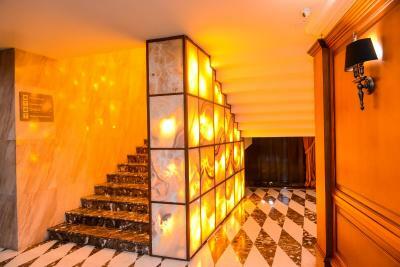 They are air conditioned, and come with a safety deposit box. 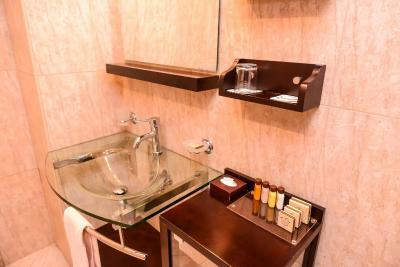 Every room has a private bathroom with a bathtub. 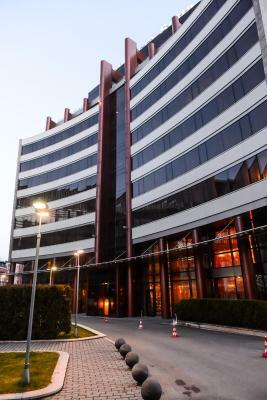 Located in a modern business district, the hotel is 11 mi from the Sofia International Airport and 3.1 mi from the city center. 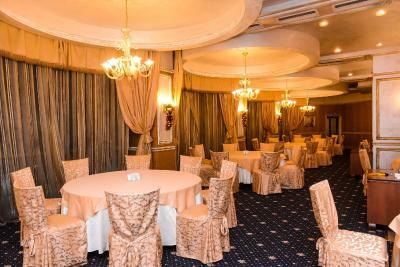 The National History Museum can be reached in a 4-minute drive, and the UNESCO-protected Boyana Church and the National Park Vitosha are 1.5 mi away. There is an underground garage on site available for a surcharge. 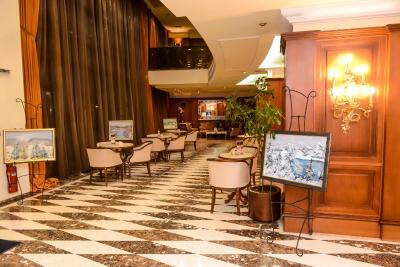 During winter season, transfers to the Vitosha Mountain Ski Slopes can be arranged upon request. 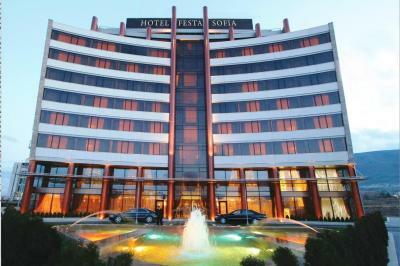 When would you like to stay at Festa Sofia Hotel? 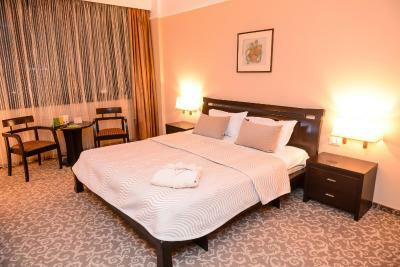 This stylishly decorated room offers views of the Vitosha Mountain or the city of Sofia, and features a mini-bar, free Wi-Fi and satellite TV. 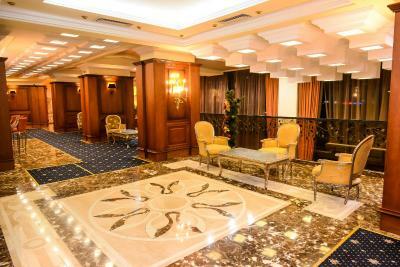 Private parking is available on site (reservation is not possible) and costs BGN 10 per day. 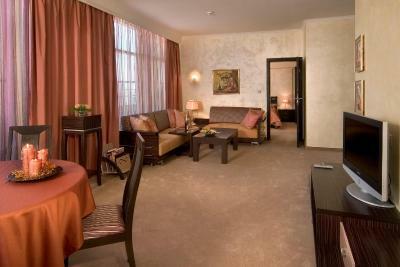 This spacious and stylishly decorated room welcomes guests a selection of teas and coffee. 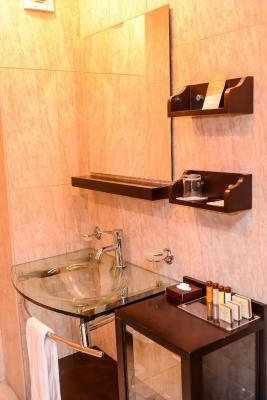 The room comes with a mini-bar, an electric kettle, free WiFi, bathrobe and slippers and satellite TV as well, and has views of the Vitosha Mountain or the city of Sofia. 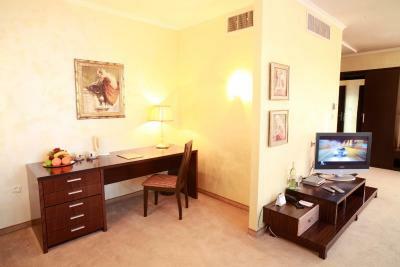 This spacious and stylishly decorated room welcomes guests with a selection of teas and coffee. 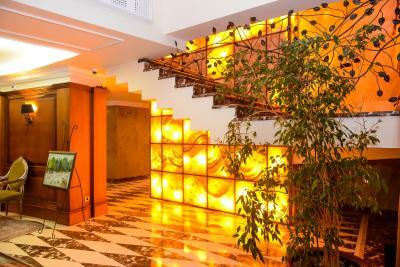 The room comes with an electric kettle, a mini-bar, free WiFi and satellite TV as well, and has views of the Vitosha Mountain or the city of Sofia. 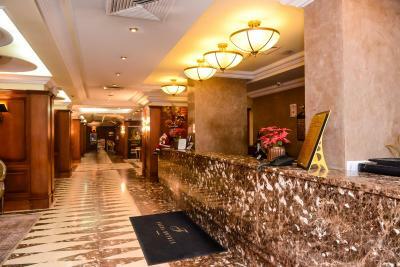 Please note that the room rate includes a free shuttle service from the airport to the hotel. 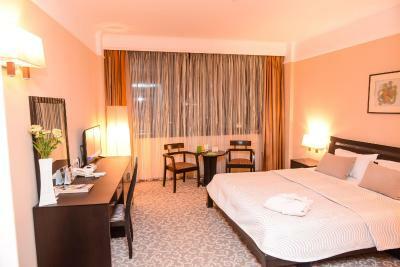 This stylishly decorated room offers views of the Vitosha Mountain or the city of Sofia, and features a mini-bar, free WiFi and satellite TV. 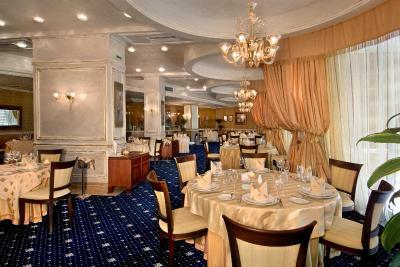 Festa brand symbolize deluxe service as well as personal approach to each guest. 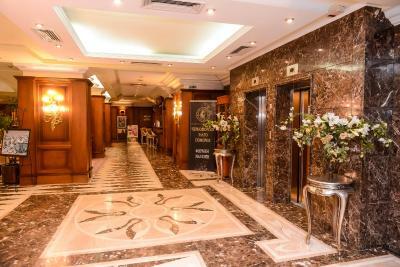 House Rules Festa Sofia Hotel takes special requests – add in the next step! 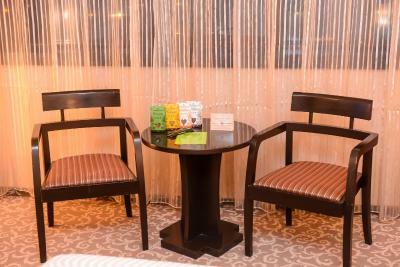 All children under 12 years are charged BGN 10 per night for extra beds. 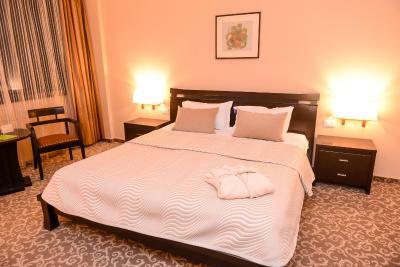 Any additional older children or adults are charged BGN 15 per night for extra beds. Festa Sofia Hotel accepts these cards and reserves the right to temporarily hold an amount prior to arrival. A great city-stay! 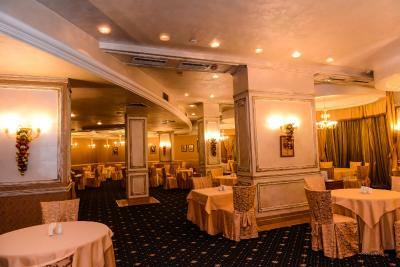 The location is near a big boulevard, but the rooms are very quiet. There is also parking in front. 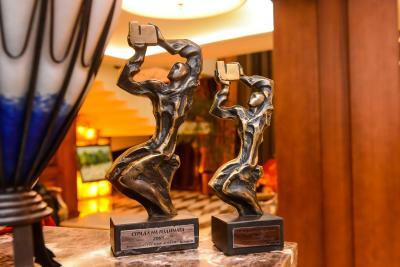 We highly recommend it, both for business or leisure. The room smelled of cigarettes. Easy to check in and check out. 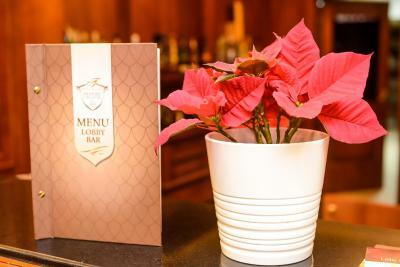 Bar Staff especially a woman in blond hair very impolite gives a customer the impression one is not welcomed and one should not ask her for any drinks. When you do ask for a coffee she gets annoyed not to mention if you ask for one more drink. I have never experienced this type of behaviour in a hospitality industry. The manager of the Festa should definitely choose staff appropriate to work in hotels. 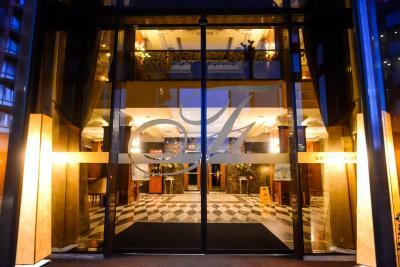 The hotel was close to my place of work and right opposite a tram line that takes you into the centre. I was lucky and got a really nice, massive room on the 6th floor. My bed was comfortable. The bed was not very comfortable. The breakfast could have been better, I had to ask for butter every time, because they didn't have packed butter. We had a broken disassembled table on the balcony, which worsen the nice mountain view. The breakfast is the weakest point of this hotel. 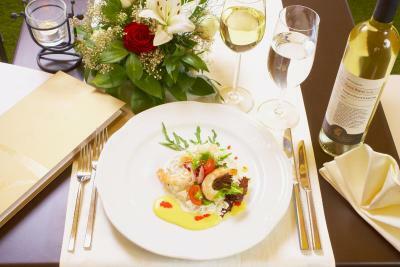 There is a choice between different dishes to try, but most things are tasteless. 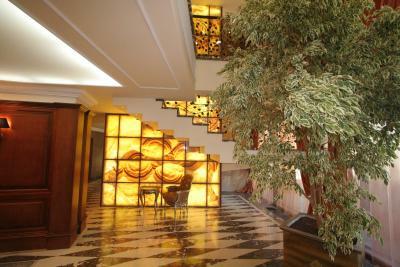 It is a decent hotel with spacious rooms and good comfort. 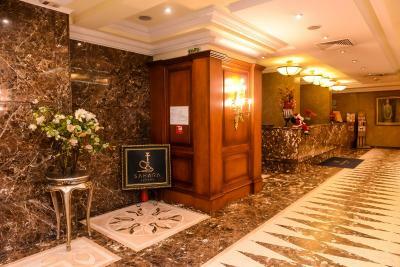 Limited car parking space around the hotel. 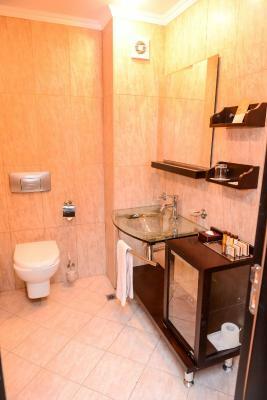 A good location between the city and the airport. Nice clean rooms. Friendly staff. Everything was fine, only staff were not really friendly! Staff was very rough. One of the maids went in the room at 9 AM without knocking. The staff we exceptionally rude. The rooms weren’t cleaned properly. They kept trying to charge me for items I didn’t have at the mini bar. There was a good variety of things to eat for breakfast. Bar staff was sullen and unhelpful ... had a look that could curdle milk at 1000 paces! No change available from any of the tills in the hotel .. staff appeared to expect guests to receive the change of BGN7 as a tip when paying for a BGN3 beer with a BGN10 note!